There are many choices and types of olive oil available in the U.S. and a number of different quality programs and certifications. Some programs focus on flavor or origin while others focus on authenticity. Industry folks refer to olive oil quality in relation to the grade and condition of the oil. Quality will naturally change over time and degradation can occur more quickly if the oil is exposed to excessive heat, light or air. Tests for quality check for flavor, fruit condition, processing and freshness. Olive oil purity or authenticity relates to whether an olive oil has been mixed with non-olive oil or a lower grade olive oil. 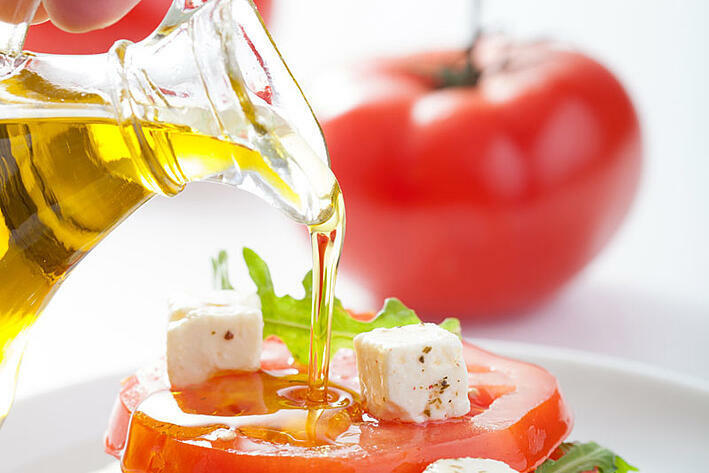 Authenticity does not change over time, and olive oil laboratories can test for adulteration, including the presence of other oils like canola, soybean oil (vegetable oil), or olive-pomace oil. Industry standards for quality and purity are maintained by the International Olive Council (IOC) based in Madrid, Spain. Olive oil producers, exporters, importers and buyers rely on IOC-recognized laboratories for complete and independent assessments of olive oil quality and purity. The North American Olive Oil Association (NAOOA) Quality Seal is the only program in the U.S. that checks olive oil for both quality and authenticity according to the IOC standards. All NAOOA member companies agree to random off-the-shelf quality and purity testing of their olive oils, and brands that participate in the NAOOA Quality Seal program go a step further by including a taste test as well as full lab testing of off-the-shelf samples at random at least twice each year. A number of organizations have created their own quality-focused standards and programs. The California Olive Oil Council (COOC) Seal is given to California producers that submit a sample which passes a taste test and a limited quality screening. The Extra Virgin Alliance and Ultra Premium are other seals. Quality tests should be performed all along the supply chain to monitor the effects of time and handling. Quality screenings don’t detect adulteration or guarantee authenticity. To maintain quality be sure to store olive oil in a cool, dark cupboard or pantry and keep the cap on when not in use. The best way to confirm authenticity is to look for trusted brands and the NAOOA Quality Seal.